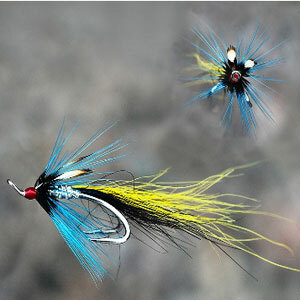 The River Lochy offers the salmon angler some of the most spectacular and scenic salmon fishing in the UK. 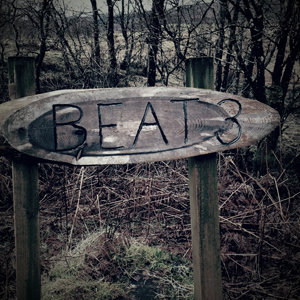 Condensed into just 10 miles, it meanders it’s way through the Great Glen with the backdrop of Ben Nevis (UKs highest mountain) and the surrounding peaks. Although its setting can only be described as peaceful & tranquil the fishing itself is more adrenaline filled with a “real” possibility of catching a fish of a lifetime! Over the last few years the river has produced more than it’s fair share BIG spring fish with a typical average weight of 17lbs (7-8kilos). 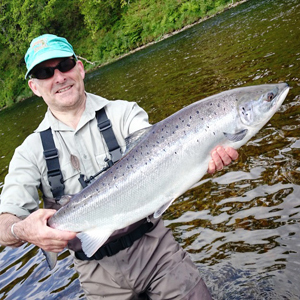 Early May – early July – Lochy Springers- MSW salmon averaging 16-17lbs, up to 30lbs – mostly fresh/sealiced. A few early grilse in late June/early July. 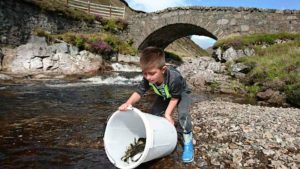 In spite of worsening oceanic conditions for all Scottish salmon rivers over the last 20 years, the Lochy has proven remarkably resilient. The river is classed as a Category 2 river and is able to set its own conservation policy, unlike most other West Coast rivers which are Category 3 (mandatory catch and release). Occasionally it still sees bumper grilse runs (well over 1000 grilse caught in 2005 and 2007) but in recent years it is the MSW salmon runs that have proved particularly strong. 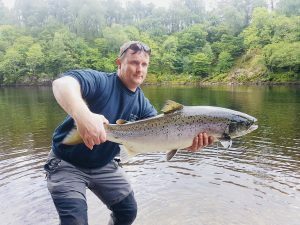 Probably the river’s greatest attraction for the discerning angler is that the average MSW salmon weight is easily the highest in Scotland. 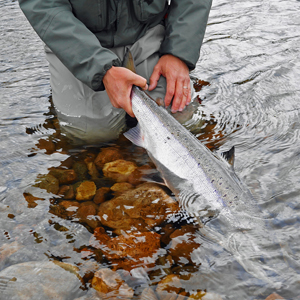 With its majestic backdrop, mouth-watering pools and glides, it still is, without doubt, “The Queen of Scottish Salmon Rivers”.